Robert Pattinson #1 - Because he is the perfect Edward to us! WELCOME TO THE R PATTZ APPRECIATION THREAD! Robert has been cast as Edward Cullen in the upcoming Twilight movie, and we couldn't be more thrilled! Robert knocked their socks off; once he read for the part, the search was over. In other good news, apparently there is excellent chemistry between Robert and Kristen (they have all the major actors read together to make sure they fit), his American accent is flawless, AND he's read all three novels! if you want to be added, just ask! Add me please!! I adore Robert, he's the perfect Edward! I have really gone RP fangirly.. very badly since I've heard he was cast in the movie. I read the books after he was cast and I pictured him as Edward all the way through. If you guys haven't seen him in The Haunted Airman (there are clips at You Tube).. you just have to. 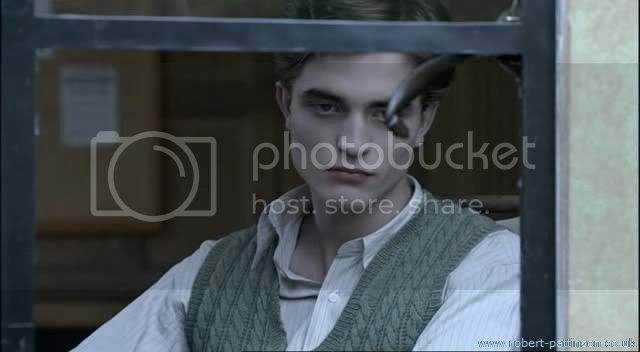 He is so much our Edward in that movie. *pets screen* Those pics made my morning. I really love the make out scene too, that little smirk he gives. I can't believe he's going to be looking at our Bella like that soon! It just makes me so fangirly I can hardly stand it! Add me add me! I wanna be on the list! I love him *feels like a fangirl again* er... SQUEE?